The Uber Gross Fare Calculator app is now available for the Apple (iPhone/iPad) iOS platform. Click here to install the iOS version (iPhone/iPad) to your device now. The Android version of this app is available by clicking here. 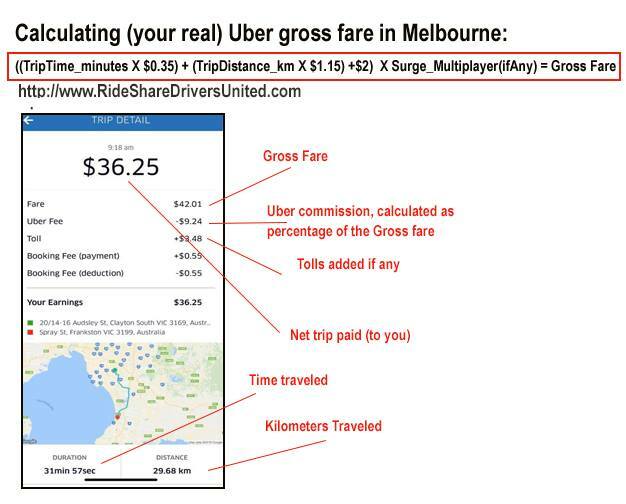 The calculator will help you compute the estimated gross fare for a given Uber trip. You can than compare the results to Uber’s stated gross fare located on your trips reports and check whether you’ve been short changed. You can set the base rates to the applicable rates in your city, than type the trip duration and distance and a surge multiplier (if any). Previous Post:Billboard by RSDU – Turn a phone or tablet into an in-flight LCD display. Next Post:UberPool – a new layer of driver’s exploitation.